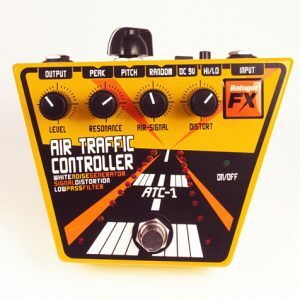 Includes an Igor pressure pad controller for real-time control! Amazing 'edited guitar sample' simulation! No side sockets at all – they're all top end-mounted! Amazing! 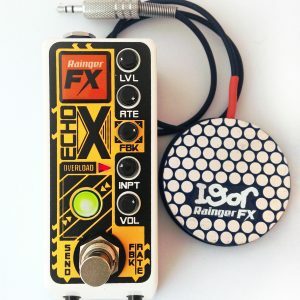 This is a digital reverb mini-pedal, simple to use, but giving a whole selection of unique – and very useful – new sounds. It’s based around an FV-1 chip, and comes with an Igor expression pad for real-time control. ‘Size’ adjusts the length of the effect, and ‘Level’ the amount of it you hear (the original guitar signal is always present). The Reverb-X really comes into its own in how it can deal with the reverb. It’s based on the excitement of plugging an overdrive pedal after a reverb pedal; it’s ‘wrong’, but everything you play sounds huge and epic, exaggerated and full of texture and detail… Here, an overdrive circuit – after the reverb – can be blended in via the ‘Distn’ knob. Have it totally clean, a bit gritty, quite rough, or dial in a fully burnt-out glow. 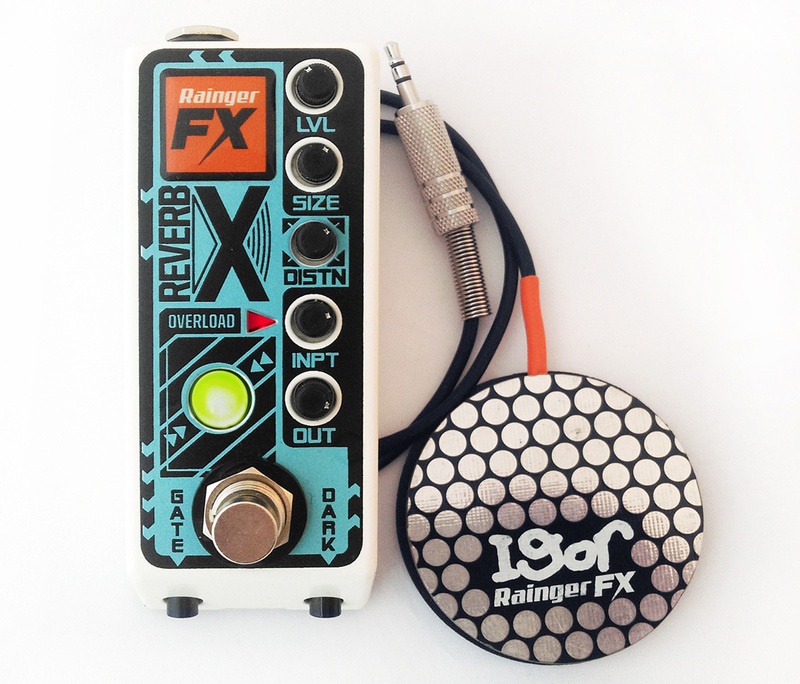 At all times, however, the input signal is unaffected; if you already use an overdrive pedal, the Reverb-X can add a whole new dimension of distortion to your sound! If your tone is clean however, it stays clean – no matter how much distorted reverb you dial in. This is always on, either before the reverb and distortion circuits, unobtrusively silencing hums and buzzes when you’re not playing. Switch in the ‘Gate’ button though, and this changes to post reverb and distortion. 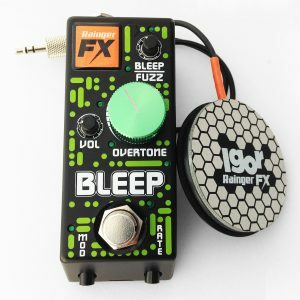 It opens when you play, and closes hard when you stop, totally cutting off any reverb that’s happening – giving an incredibly dramatic and original effect. Sure, it’s a gated reverb, but play a long riff and gate stays open, giving the full reverberation as set by the ‘Size’ knob. Stop playing and the whole thing is shut down, giving a tight control over it – like a hard-edited ‘sample’. The ‘input’ control and ‘Overload’ LED insure that the output is always as loud – and clean (if desired) – as possible. The ‘Out’ knob has plenty of spare output volume on tap. Plug in the Igor expression pad and you get no reverb at all. However as you start to lean on it the signal gets diverted to the waiting reverb pathway, and a bloom of reverberation grows behind whatever notes you’re playing. Take your foot off of Igor and you go back to fully dry – but the reverb decays on its own. Or have the ‘Gate’ switch in, and the added reverb is cut short, like some twisted dub-meister at the controls, messing with everyone’s depth perception…. The two types of reverb available are set to cover the widest range of musical situations as possible. The Reverb-X is an incredibly flexible, easy-to-use, and inspiring effect – all in a deeply cute package! What is the maximum current draw of the Reverb-X? Can you turn down the amount of drive in the overdrive circuit? No – it’s set to a full-on grind. But you decide how much of it you want to hear… Maybe just a tiny bit? By turning down the ‘Input’ knob there would be less distortion. Can you adjust the noise gate at all? You can adjust the threshold that it opens by turning the ‘input’ knob. The sudden closing of the gate can’t be adjusted. How do you turn the Igor ‘send’ facility on and off? Just plug in Igor and it becomes active (ie no reverb until pressed). 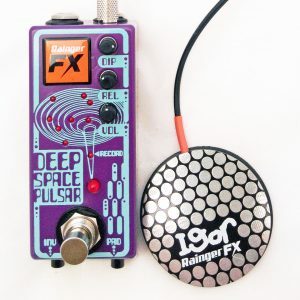 Unplug it, and it becomes a reverb pedal that you control by switching it on and off with the main footswitch. Can the distortion affect the input signal too? What happens if the ‘overload’ LED comes on a lot? 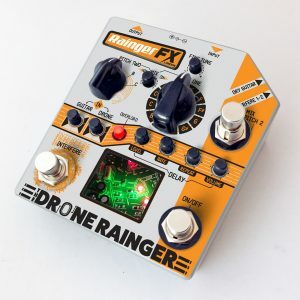 Then you might start getting some distortion creeping in to a clean reverb, or in more extreme situations the input tone will start to be clipped. However no damage is done to the pedal itself. Can you turn the noise gate off? No – it’s always on, but the trigger threshold is set so low that hopefully you’ll hardly notice it when the ‘gate’ button is out (‘pre’ effects).